"Bolt" is a large male with outstanding pigment and color, his structure and movement are beautifully harmonious and he has the wonderfully stable temperament that is so important to the breed. 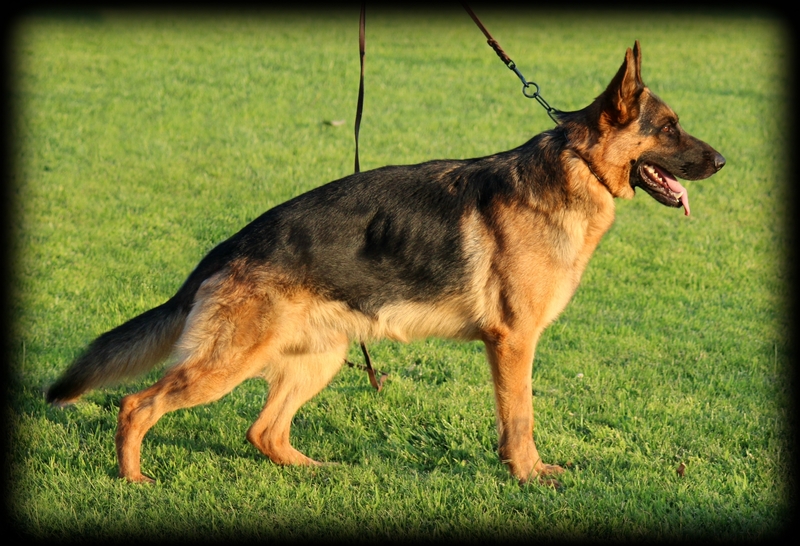 He is from European parents that possess some of the finest top German pedigrees for many generations. 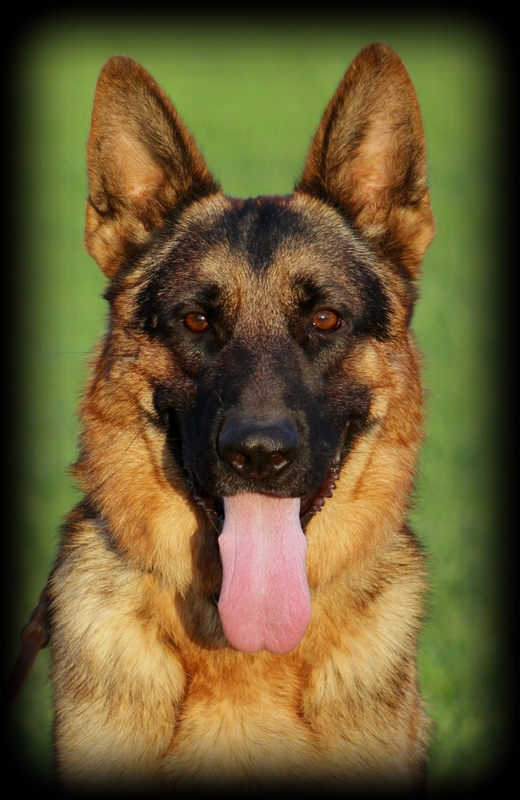 Bolt is a male that any family would love to have in their home, he has a fun loving playful personality without compromising the protection qualities that the German Shepherd Dog is well known for. On any given day you can find him waiting for a car ride or anticipating when we will refill the pool for him to play in. We are looking forward to Bolt's future and and so far its coming along spectacularly.